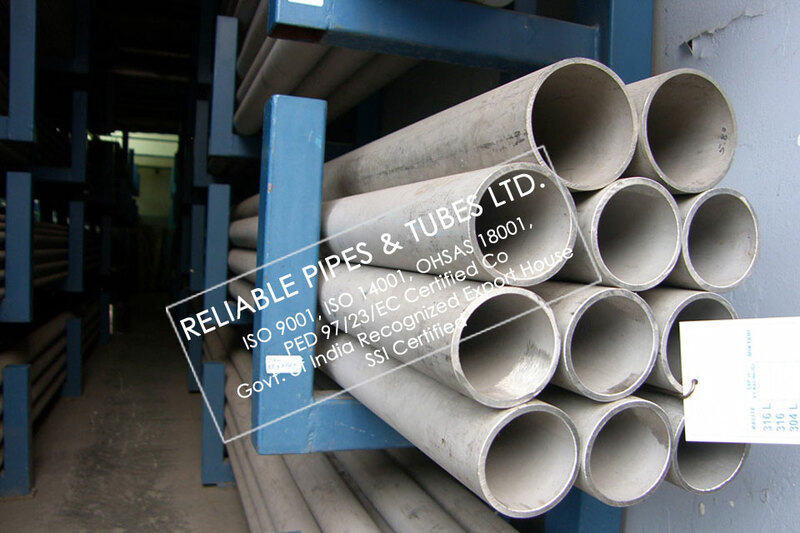 RELIABLE PIPES & TUBES LTD is a a leading manufacturer & supplier of ASTM A213/ ASME SA213 T5c Alloy Steel Tube. We hold the extensive range of ASTM A213/ ASME SA213 T5c Alloy Steel Tube in a variety of materials including ASTM A213 T2/ T5/ T5b/ T5c/ T9/ T11/ T12/ T15/ T17/ T21/ T22/ T23/ T24/ T36/ T91/ T92/ T122/ T911, ASTM A209 T1 Alloy Steel Tube. Reliable Pipes & Tubes Ltd. is PED approved manufacturer & Govt. of India recognized Export House and as an ISO 9001 : 2008, 18001:2007, 14001:2004 accredited company. A power generation boiler consists of an economizer, a furnace (evaporator), a superheater tube, a reheater tube, a main steam pipe, a reheat pipe, a water feed pipe, and a feed water heater tube. We are manufacturer & supplier of various carbon steel, alloy steel, ASTM A213/ ASME SA213 T5c Alloy Steel Tube, and stainless steel tubes and pipes to suit the usage conditions of these pieces of equipment. In addition to JIS standard products, we also manufacture foreign standard pipes/ tubes such as ASME (ASTM), EN and DIN, along with our own proprietary special tubes. A213 Grade T5c Steel tubes and pipes, to be used to respond to high-efficiency industrial waste incineration boilers, have been demand to maintain both high quality & high performance. There has also emerged a need of various steel tubes and pipes such as economic steel tubes and specially-shaped steel tubes. We assure that our A213 Grade T5c boiler steel tubes and pipes will fulfill your expectations in every aspect. ASTM A213/ ASME SA213 T5c Alloy Steel Tube Form Round, Coil, ‘U’ Shape, Hydraulic Tube, Boiler Tube, Heat-exchanger Tube, special shape tube etc. We are approved vendor & supplier of ASTM A213/ ASME SA213 T5c Alloy Steel Tube in GASCO, KNPC, SAUDI ARAMCO, SABIC, ORPIC, NIORDC, PIDMCO etc. We are having our sub dealers of above brands with adequate stock of ASTM A213/ ASME SA213 T5c Alloy Steel Tube, Tube & Tubular in UAE, Kuwait, Saudi Arabia, Australia, Indonesia, Malaysia, Bahrain, Singapore, Thailand, UK, Canada, Brazil, Venezuela, Kazakhstan, Sudan, South Africa, Mozambique, Nigeria, Kenya, Tanzania for quick delivery of ASTM A213/ ASME SA213 T5c Alloy Steel Tube with mill certificate & all required documents. ASTM A213/ ASME SA213 T5c Alloy Steel Tube are loose or in bundles tightened with Iron Strips. Special packings: Metal or Wooden Cases, Pallets etc. Looking for Special Steel Grade ASTM A213/ ASME SA213 T5c Alloy Steel Tube Supplier? Reliable Pipes & Tubes Ltd. is Specialize in supply of ASTM A213/ ASME SA213 T5c Alloy Steel Tube that your company needs for use in the oil or gas or power plant. Our Specialization comes after supplying ASTM A213/ ASME SA213 T5c Alloy Steel Tube to 300+ companies from Oil & Gas Industry, Petrochemical, Offshore & Onshore Projects, Rigs, Chemical & Fertilizer companies in more than 40 countries since 1975. Length: 5800mm; 6000mm; 6096mm; 7315mm; 11800mm; 12000mm; and so on. 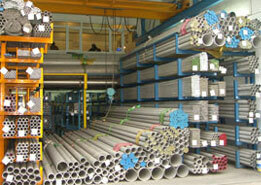 Max length: 16000mm, also U bending can be offered. One of the most critical aspects of our service is our ability to meet the most urgent deadlines. That is why we always maintain the highest level of stock availability of ASTM A213/ ASME SA213 T5c Alloy Steel Tube- all ready for rapid processing, dispatch and delivery.